In West Texas’s arid and semi-arid climates, Fortenberry Roofing considers metal to be one of the better choices for roofing. It’s not the most economical option on the market; that distinction is reserved for asphalt shingles. However, a metal roof is a great investment and you’ll likely get more than you bargained for. Any metal used in roofing lasts a long time. It’s strong, durable and fire-resistant. Iron-containing alloys rust when exposed to moisture and oxygen, but they usually come with sacrificial layers to delay corrosion. When installed properly, you would probably never have to replace your metal roof ever again. Traditionally, metal roofs have a sleek appearance because of their standing seams. The clean vertical lines accentuate the aesthetic of many modern architectural styles. Available in different rich colors, a metal roof can make your house the envy of the neighborhood. If you don’t like a standing-seam metal roof, any residential roofing contractor, like Fortenberry Roofing, would recommend considering systems with dimensional and textured looks. These contemporary metal roof designs try to emulate the character of 19th-century wooden shingles to suit traditional-style properties. With or without paint, a metal roof reduces heat gain by deflecting solar radiation. 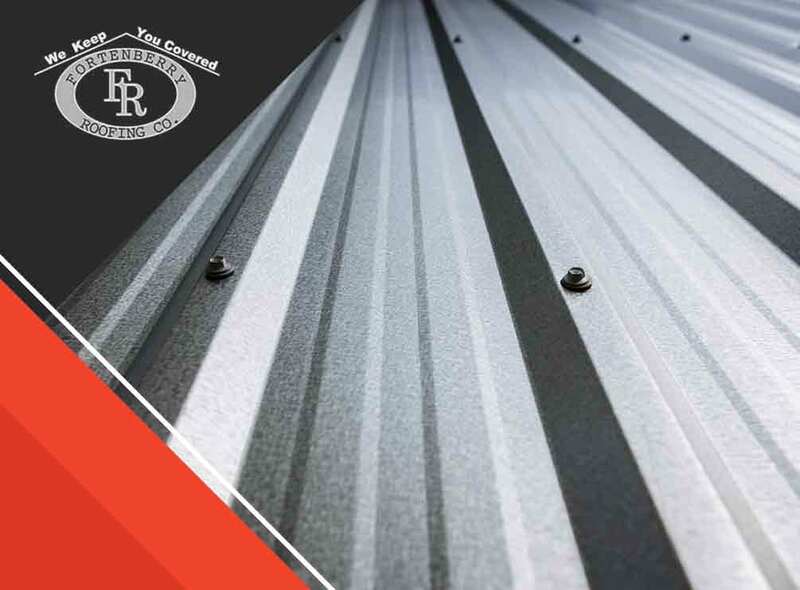 With a highly reflective and emissive coating, a metal roofing system can further block more infrared light and give off the little energy it absorbs. Expect your house, especially the upstairs rooms nearest to the roof, to be naturally cooler and more comfortable. In addition to a metal roof’s inherent strength and endurance, its surface helps reduce its maintenance needs. Its smooth pitched panels make it easier for gravity to pull debris down safely, keeping the roof surface free of leaves. Let a credentialed residential roofing company like Fortenberry Roofing give you access to many of the best metal roofing systems money can buy. Call us at (806) 429-0822 now to discuss your roofing needs. You can also fill out this form for your no-pressure estimate in Hereford or Littlefield, TX.